What is ‘Healing with Compassion’? ‘Healing with Compassion’ integrates the tools, skills and energy of Non-violent Communication, Neuro-linguistic Programming and more. It creates a supportive container, clarifies needs, identifies and expands current strategies and beliefs to create more choice. In turn, this support more effective serving of yourself, your community and your purpose. Do you long to feel more fully embodied with what you do in life (purpose, relationships, creativity, health)? Are you living or working with groups, kids or individuals and want to support improved enjoyment, trust or connection? Would you like to improve your communication skills and/or feel more grounded in general? Do you find yourself getting short or feeling disconnected with your others only to regret it and feel guilty, hopeless and at the end of your rope? Do you find yourself in painful judgement (of self or others), or caught in the cycle of blame or shame? Do you feel the impact of impatience, anxiety or fear on you or your familial relationships? Are you ready for a change or an improvement in how you feel? Are you ready to feel more relief, ease, peace, freedom and certainty? If any of the above statements are true for you, then this work may serve you now. Maren Metke’s background, inspiration and skill come from twenty years of Compassionate Communication. Additionally, Maren has seven years’ experience as Masters’ level practitioner in Neuro-linguistic Programming from NLP Marin and fourteen years researching, educating, counseling and supporting children, families and practitioners in a individuated, integrated, holistic, community-oriented environment. We are pleased to offer classes, individual, children, family, group and couples sessions and consultations. Private or group sessions are available, either in a mentorship classroom format as well as multi-day immersion programs (training staff, and participants). “All of 2013 I attended weekly sessions with someone else, but in just ONE session with Maren (Healing with Compassion), we got to dig out some serious layers and I understood the possible root causes of some issues that I’ve had for years (that never even came up with the other person)! And that was only after the first session! Ladies and gentlemen, this woman is amazing. Not only she has fully gained my trust, but she knows exactly how to listen, ask the right questions and help you find your truth! “My kids and I learned by the sharing with and guidance by Maren over 4 summers. My experience is that Maren is able to be fully present, listening to the whole person, not just the words, and finds ways to clarify or make the connection we needed but just struggled to get to on our own. She is able to use so many if her creative talents to flex to the uniqueness of each of us…as we each interact with and process our experiences differently. “Maren is an amazing facilitator and presence. Maren’s incredible capacity to hear humans, give them the empathy they need, and support them with a wide range of skills and experience, means that your growth through challenge is well guided in her care. I have enjoyed and profited from Maren Metke’s sensitivity and insight in two different housing groups and recommend her highly. I went to Maren for a 1.5 hour empathy session. Maren is a skilled empath and listener. She asks quality questions and manages to challenge you gently without judgement. I left with new things to ponder and a better understanding. Recommended! Maren is an unwavering space holder. Our sessions together have been instrumental in overcoming some significant blocks and working through trauma. 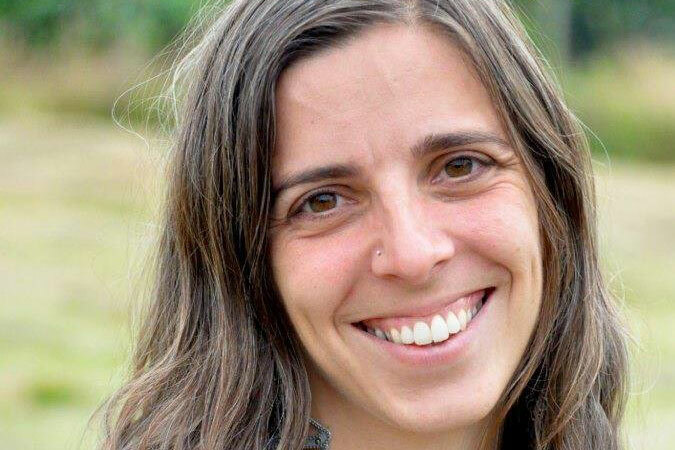 Her Nuero-linguistic Programming and Nonviolent Communication skills are second to none! I highly recommend working with Maren privately or in group classes!